After a day of partisan bickering over whether the Republicans' sweeping tax plan would truly help the middle class, a key House panel on Monday approved late changes. Lawmakers restored the tax exemption for employees receiving child care benefits from their companies, but also put new requirements on a tax credit used by working people of modest means. 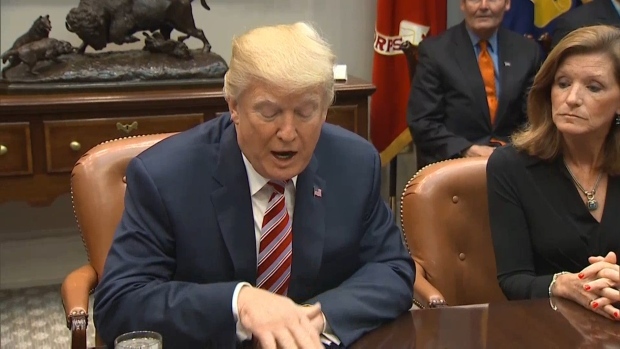 It was the first of what are expected to be several days of work on the bill, as Republicans drive to push legislation through Congress and to President Donald Trump's desk by Christmas. President Donald Trump said Tuesday he expects to sign a new tax plan by Christmas. Trump and congressional Republicans are seeking the first major tax overhaul in three decades. 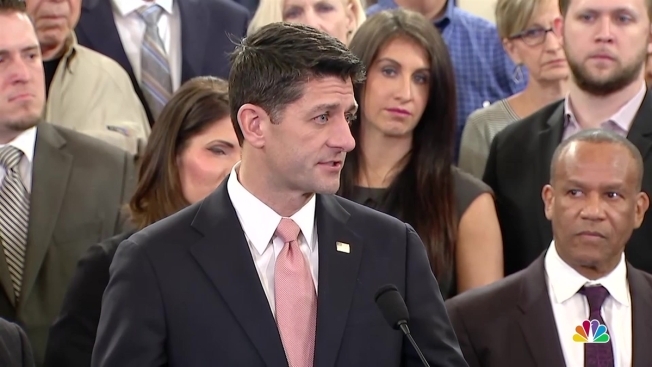 Republicans focused on findings by Congress' nonpartisan Joint Committee on Taxation that the bill would lower taxes across all income levels over the next several years. "Clearly this is helping real people. It's helping teachers, it's helping students, it's helping struggling families that are living paycheck to paycheck," said GOP Rep. Erik Paulsen of Minnesota. "There are a lot of people expecting a tax cut who would be big losers under this bill," proclaimed Democratic Rep. Bill Pascrell of New Jersey. "This is a joke and you've got to face up to it." The legislation adds $1.5 trillion to the ballooning national debt, delivers a major tax cut to corporations, and repeals the estate tax, which would benefit a tiny percentage of the wealthiest families in the country. It also simplifies the loophole-ridden tax code by collapsing today's seven personal income tax brackets into four. It nearly doubles the standard deduction used by people who don't itemize, and it increases the child tax credit, an element championed by first daughter Ivanka Trump. 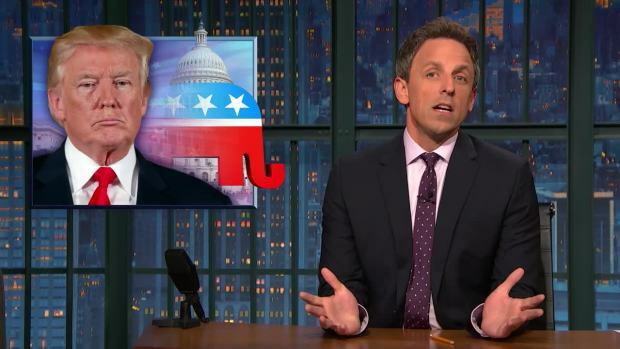 Seth Meyers takes a closer look at the Republicans' proposed tax cut bill, as well as President Donald Trump's "death penalty tweet." "It's about making America's economy stronger than ever by delivering more jobs, fairer taxes and bigger paychecks across the nation," said Brady. He is aiming to push the legislation through committee and to the full House later this week, and GOP leaders are aiming for House passage before Thanksgiving. The committee's top Democrat, Richard Neal of Massachusetts, countered that the bill "puts the well-connected first while forcing millions of American families to watch while their taxes go up." He complained that Republicans crafted it in private without input from Democrats. The tax proposal is the first major rewrite of the U.S. tax code in three decades. After embarrassing failures to make good on years of promises to repeal "Obamacare," the tax bill is enthusiastically backed by Trump, House GOP leaders and many rank-and-file Republicans, who are promising a simpler IRS code, a more globally competitive business tax structure, and tax cuts for the middle class and families with children. But there's considerable trepidation as well. In addition to the overall increases in later years for lower-income Americans, many earners in the upper-middle class, especially those from high-tax states, are facing tax increases. That's because the measure would no longer permit taxpayers to deduct state income taxes from their federal taxes. Powerful lobbyists are fighting to protect favored deductions, while a few well-financed interest groups, including the National Association of Homebuilders, have already vowed to oppose the legislation. The homebuilders group has voiced concerns over Republicans' decision to lower the mortgage interest deduction from $1 million to $500,000. Republicans may introduce another plan to repeal and replace Obamacare as early as Wednesday. 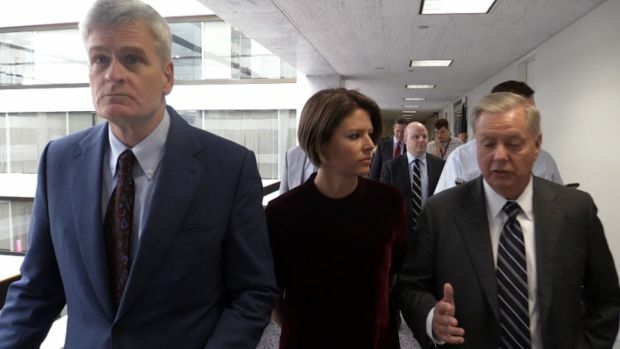 Senators Bill Cassidy, R-La., and Lindsey Graham, R-S.C., wrote the bill, which relies on block grants to the states. "Take the money and power out of Washington, the same amount of money we would have spent on Obamacare, and let states design the systems," Senator Graham said. Critics say the proposal would give states a chance for a waiver that could eliminate the requirement to cover pre-existing conditions. It will be a close vote. Several Republican senators spoke out against the plan, including Senator Susan Collins of Maine, who said safeguards for americans need to be stronger. To entice senators on the fence or voting no, a revised Graham-Cassidy plan will be unveiled Monday giving more money to hold-out states.